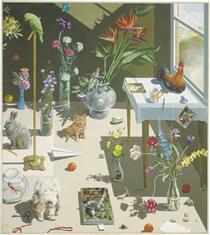 Paul John Wonner (April 24, 1920 – April 23, 2008) was an American artist who was born in Tucson, Arizona. 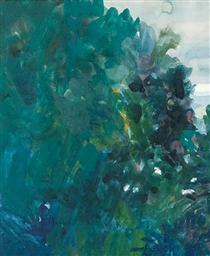 He received a B.A. 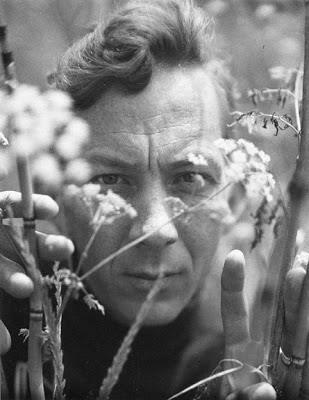 in 1952, an M.A. 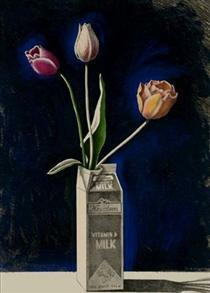 in 1953, and an M.L.S. 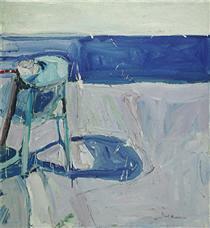 in 1955―all from the University of California, Berkeley. 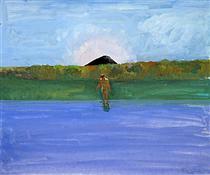 He rose to prominence in the 1950s as an abstract expressionist associated with the Bay Area Figurative Movement, along with his partner, Theophilus Brown (1919-2012), whom he met in 1952 while attending graduate school. 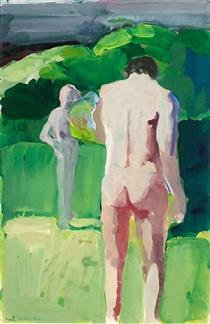 In 1956, Wonner started painting a series of dreamlike male bathers and boys with bouquets. 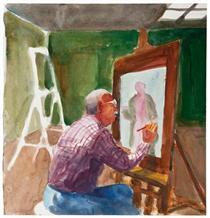 In 1962, he began teaching at the University of California, Los Angeles. 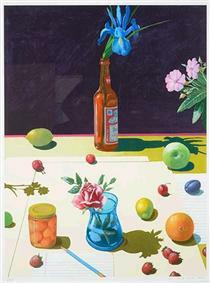 By the end of the 1960s, he had abandoned his loose figurative style and focused exclusively on still lifes in a hyperrealist style. 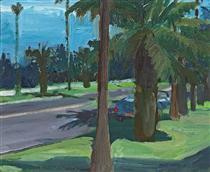 Wonner died April 23, 2008 in San Francisco, California. 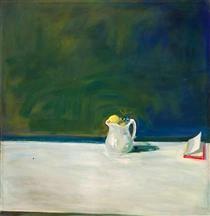 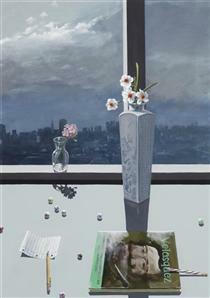 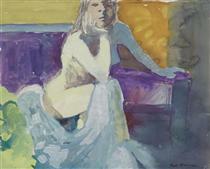 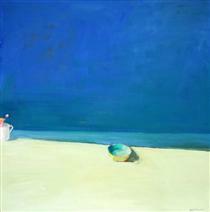 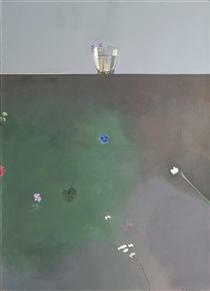 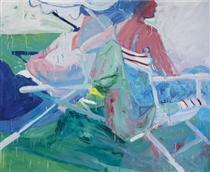 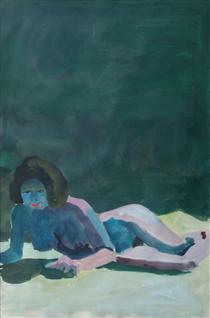 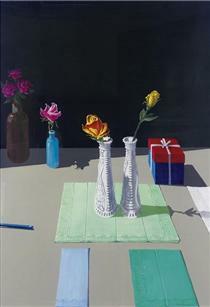 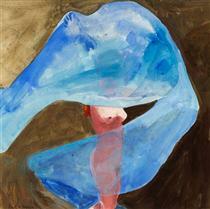 Paul Wonner is best known for his still-life paintings done in an abstract expressionist style. 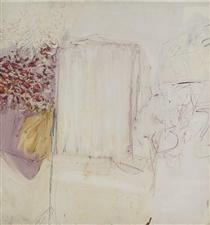 The Cantor Arts Center (Stanford University, California); the Crocker Art Museum, (Sacramento, California); the Davis Art Center, (Davis, California); the Honolulu Museum of Art, Honolulu, Hawaii; the Hunter Museum of American Art, (Chattanooga, Tennessee); the Kemper Museum of Contemporary Art, (Kansas City, Missouri); the Kresge Art Museum, (Michigan State University, East Lansing, Michigan); the Marion Koogler McNay Art Museum, (San Antonio, Texas); the Oakland Museum of California, (Oakland, California); the Philbrook Museum of Art, (Tulsa, Oklahoma); the San Francisco Museum of Modern Art, San Francisco, California; the Santa Barbara Museum of Art, (Santa Barbara, California); the Sheldon Museum of Art (Lincoln, Nebraska); the Smithsonian American Art Museum (Washington, D.C.); and the Solomon R. Guggenheim Museum (New York City) are among the public collections holding work by Paul Wonner.